Congrats to Ben Byerly, he is the winner of this week's book giveaway! 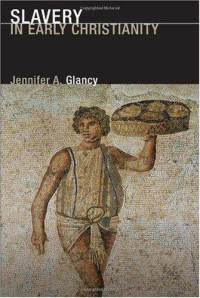 Ben has won Jennifer Glancy's Slavery in Early Christianity (Fortress, 2006). Ben, send me your details at jbyron@ashland.edu and I will send you the book. Remember you have days to claim the book or it goes back on the shelf. Didn't win this time? I still have more books to giveaway. Hint: In the first week of OctoberI will be giving away a copy of Bruce Fisk's A Hitchhiker's Guide to Jesus. So you will have two chance to win. You can enter with Baker (see to the left) or here with me. Keep checking for details.